At Walt's, we choose quality fuel products for the longevity of your engine and fuel system. With specialy formulated cleansing agents and regular fresh delivery you can be assured our fuel will help keep your vehicle running its best. We even have non-oxygenated fuel for classic cars and small engines! Inside our store you'll find what you need on the go - from cold pop and snacks to premium hot dogs and sandwhich selections. 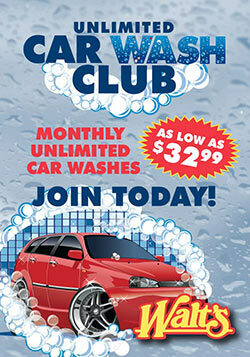 Our friendly employees keep the store clean and will assist you with your summer or winter auto neccessities. At Walt's customer satisfaction is top priority. We provide full-service attention and friendly assistance to all of our customers. Let us take care of you and your vehicle and you'll see why our customers come back!